Amphenol Sine Systems’ HYPERBUSS™ Receptacle Connectors are are a high-performance, cost-effective solution used in a variety of interconnect applications where a common “bussed” electrical pathway is required: Heavy Duty, Transportation, Marine, Diagnostic, Military, Alternative Energy and Agricultural. They contain superior environmental seals and seal retention capabilities. 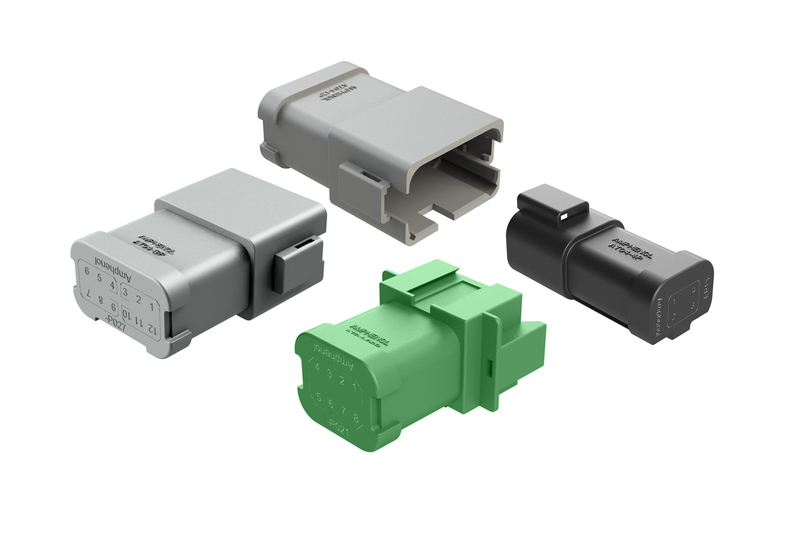 All HYPERBUSS™ Receptacle Connectors are intermateable with standard AT Series™ Plugs as well as industry standard connectors. Buss: a conductor, or a group of conductors, used for collecting electric power from the incoming feeders and distributes them to the outgoing feeders; a type of electrical junction in which all the incoming and outgoing electrical current meets.